Roll over the headings below to learn more about this course. The 570 words are divided into 10 Sublists to make it easy to learn. Do one unit every day, and in one week you will learn 60 words. It’s easy. In one month, you will learn 240 words, and before long, you will finish the course. The average student can cover one unit in approximately 45 minutes, but you will probably be quicker than that. Each unit follows the same pattern, so after you do the first unit, the others will be easy and you will be able to work more quickly. Do each exercise in each unit in order, and note any new or difficult words. If you find any exercise difficult, you can press the Reset button and try it again. If you find it too difficult or can’t finish it, you can press Check Answers and then press Answer Key to look at the answers. You can then reset the exercise and do it again immediately or later on. The more times you meet a word, the easier it is to remember. 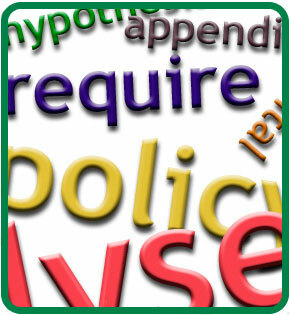 There is lots of revision in this course, so you will meet the words many times. Also when you are reading in English, you should try to notice these words and how they are used. The course covers all you need to know about a word: spelling, word forms (for example economy, economise, economic, economical), pronunciation, meaning, and use. It’s also good to use a paper English dictionary when doing this course; it will help you. Words in Sublist 1 are more common, while those in the last Sublist do not occur as often, but all of the words are important! You have made the right choice by starting this course. Good luck, and welcome to the world of Academic English! If you simply want to improve your English vocabulary, if you want to pass an exam in English, or if you want to study in English at a university, then this is the course for you. This course will help all learners. A very important group of words in English is the Academic Word List. It has 570 very important words. You must know these words, and this course will help you learn them. It will help your reading and listening skills. It will help improve your writing.